PEGAS has obtained the inside story of a joint Thai police and Freeland sting on a major wildlife trafficking network operating in South East Asia. 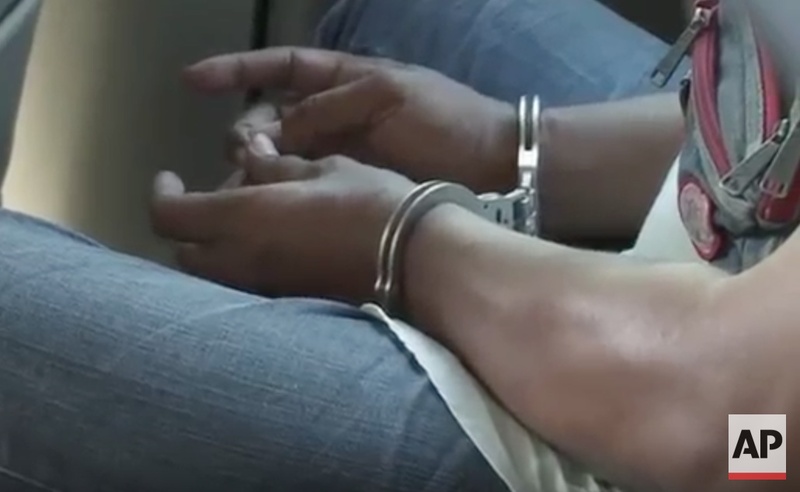 In police custody after the sting. The Bangkok Post reported on 24th December that two baby orangutans had been seized and a trafficker arrested in Bangkok. The press report and a video story put out by the Associated Press stated that undercover police officers had arranged to buy the babies using a mobile phone app, but according to an anonymous source who wishes to be called ‘Nick’, the operation was much more complicated than the initial stories suggested. 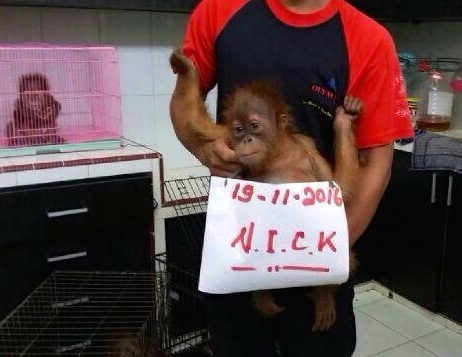 Nick and Jeffrey hired an agent to find them two infant orangutans that they could buy as pets. 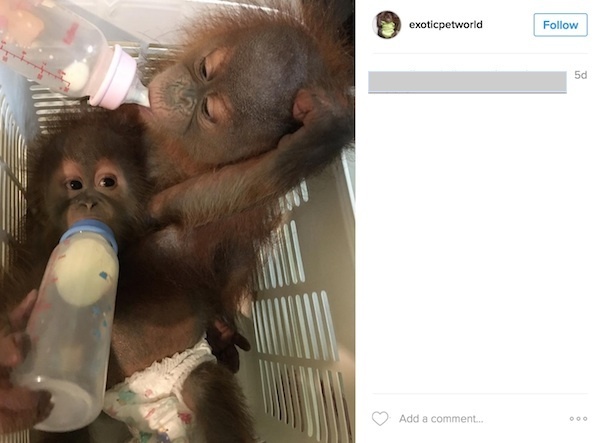 The agent found what they were looking for on the Instagram account of a notorious wild animal trafficker, known to PEGAS first as @exoticpet88 and later as @exoticpetworld. Both accounts have now been closed as the owner has gone into hiding. 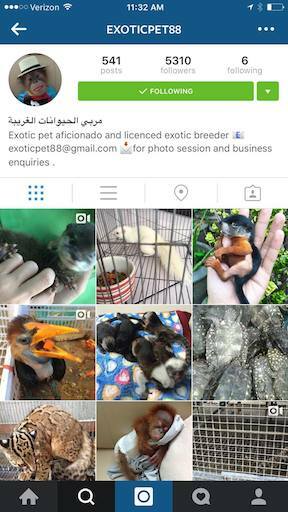 This Instagram account advertised hundreds of exotic species for sale, many CITES Appendix I, which prohibits such commercial trade. Exoticpetworld replaced exoticpet88. 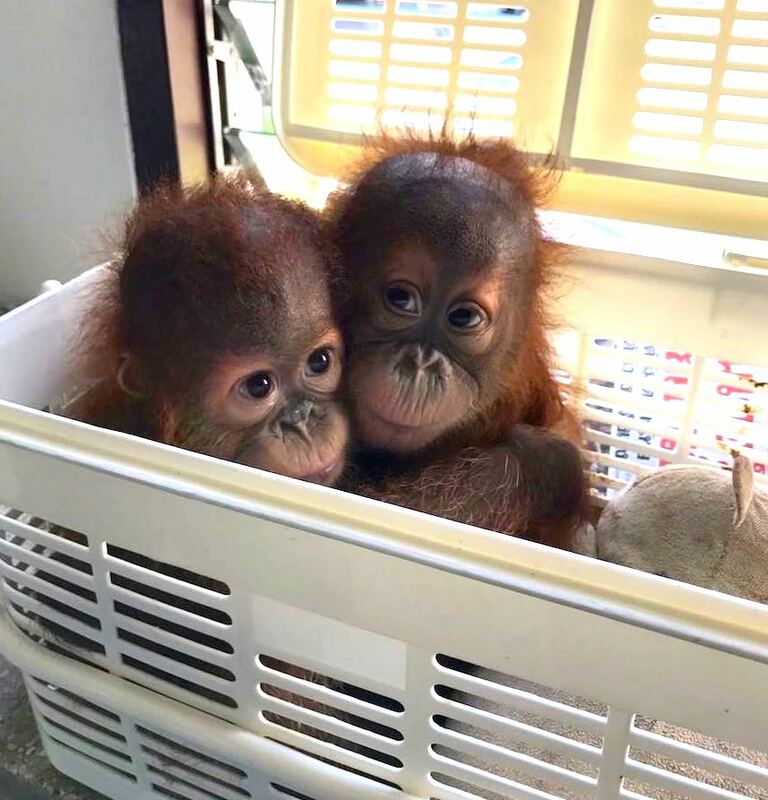 These are the two orangutans that were eventually seized in the Bangkok sting. Tom sent Nick several photos of the babies using WhatsApp. 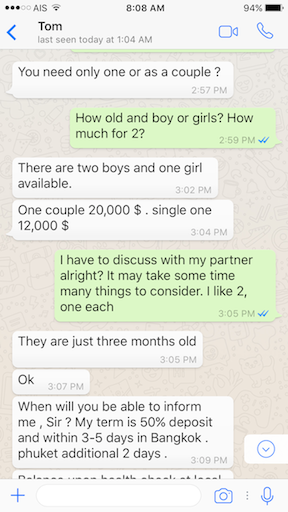 Tom asked USD 20,000 for the two orangutan babies. Nick agreed. More to come after the Thai police conclude their investigations. This entry was posted in confiscation, orangutans, Thailand and tagged live rescues, PEGAS, Thailand, trafficking. Bookmark the permalink.